Editor’s note: This basically says a CBR disaster is imminent. Government doesn’t respond to mere “fears”. Saying California’s emergency responders need more training to handle major calamities, state and local leaders are pitching plans to build a world-class $56 million training facility in eastern Sacramento County that would pit fire crews against a variety of realistic, pressure-packed simulated disasters. Emergency crews would be required to douse a real 727 jet as it lies in pieces across a field after a simulated crash at the training site; or make split-second decisions on how to approach a derailed train leaking crude oil; or figure out how to quickly pull survivors out of a partially demolished and unstable building after a terrorist bombing or earthquake. Initial construction on the Emergency Response Training Center has begun on 53 acres east ofMather Field in Rancho Cordova. The facility, billed as one of the most varied, modern and sophisticated training sites in the country, would be “a total disaster city,” said Sacramento Metropolitan Fire District Chief Kurt Henke, one of the officials behind the push. The project is a joint effort between Henke’s fire department, the Governor’s Office of Emergency Services and the Sacramento Fire Department. The three departments have set up a joint powers group called the California Fire & Rescue Training Authority. The effort, years in the planning, has hit a key moment this summer. The authority has invested $13 million to launch the project, some of it raised from local fire districts, some from federal Department of Homeland Security grants. But to move forward, the agencies must find more money now. Seizing on fears about increased shipments of volatile crude oil on trains through the region and state, Henke and the state OES Chief Kim Zagaris are asking the Legislature and Governor’s Office for $5 million to build a hazardous materials training feature at the Mather site as soon as possible. It would include rail track and oil tanker cars, as well as props that mimic an oil refinery, chemical plant and oil loading station. Those discussions are ongoing. Training facility advocates have their eye on two legislative bills this session that could provide funding to bolster training statewide for first responders. Those include a bill by Sen. Fran Pavley, D-Agoura Hills, who invited Henke and Zagaris to a legislative hearing last month to discuss the issue. They used that platform to make a pitch for funding for their facility. 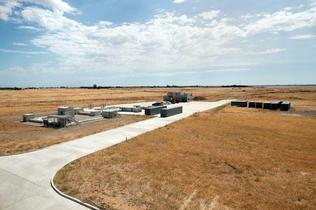 Pavley’s office said money from the bill could go toward the Rancho Cordova facility. Sen. Lois Wolk, D-Davis, said she too has legislation that could provide funds for the center. The training center group is applying for grants, and also has begun to reach out to private companies for support, including donations of real-world props such as rail cars. Federal Express recently donated a 727 jet. Henke said the training site, which includes classrooms, afire station and an incident control tower, could also benefit utility companies, railroads, oil companies and even corporations interested in safety programs for high-rise offices. Officials with the Valero Refining Co., which plans to ship 100 train cars of potentially highly volatile crude oil daily through Sacramento to its Benicia refinery, recently asked about the training center. Valero, which has its own fire department in Benicia, has come under pressure lately in the Sacramento area from fire officials and other leaders who say trains hauling oil through downtowns will put the region at heightened risk of fires caused by spills. If built to its full scope, the site would be a firefighter skill-building fantasyland. Among the planned elements: a trench where a backhoe has just ruptured a simulated gas pipeline, a high-rise building on fire, various house fires, and a simulated freeway crash and hazardous material spill. In one exercise, emergency responders might break into and crawl through a concrete pipe on a rescue mission. Another exercise, involving a burning car, would have a tire blowout simulator to add realism and shock value. Project officials plan to build a river simulator to practice swift-water rescues, and a “strip” style retail mall that catches fire. Trainers in a control tower overlooking the site would push the buttons to create and control the mayhem. Agency commanders would sit in a command center nearby, directing operations, while being recorded and captured on video for post-exercise analysis of their performance. Henke said the joint powers authority has not decided what it would charge agencies for training. “We’re doing a cost analysis right now, to make sure we set a legitimate price point,” he said. He said he thinks agencies and private companies will want to send their firefighters, emergency teams and supervisors for the all-encompassing experience that will help them keep up with technology changes, gain experience dealing with hazardous materials, and learn to work in tandem with other agencies. Tracey Hansen, chief of Cosumnes Community Services District Fire Department and president of the California Fire Chiefs Association, agreed, saying fire departments have been struggling to keep up with training requirements during the recession.